I love spreadsheets, I really do and use them for both work and personal life. However for some critical tasks like managing and improving the operational performance of a large, smart, manufacturing facility, I am sorry but a manual or spreadsheet system is just not fit for purpose and can introduce some serious risks to your business. In this article we outline 6 compelling reasons why you should consider switching now from spreadsheets to automated, real-time collection and analysis of OEE data. Hope you enjoy it and find it helpful. Arthur Stone, CEO, OEEsystems International. OEEsystems International are manufacturing people at heart. Backed by 20+ years’ focused OEE experience, our best-in-class, OpEx OEE software and expertise supports a worldwide community of thousands of users from Southampton to Seattle to Shanghai. Every day our team engage with manufacturers who have tried using manual/spreadsheet OEE systems and have found it to be time consuming, costly, problematic and most importantly risky for their business. In this article we outline the top 6 compelling reasons why you should consider switching now from manual to automated, real-time collection and analysis of OEE data. The first problem companies’ cite is the labour intensive and costly nature of collecting and analysing manual OEE data. Typically operators attempt to collect data on paper and then transcribe it into a spreadsheet. This process can take individuals hours or even days at a time quickly adding up to weeks if measured on an annual basis. Furthermore it’s all very well collecting the data but now it has to be analysed which will add further time and cost to the process. This can mean that data may not be available in time for key review meetings and can result in meetings being delayed or even cancelled. The next problem they face is that when the manual data is eventually ready for review it is now time-lagged and will just report historical losses. The best manufacturers deal with OEE losses before they even happen not after the event. If OEE losses can be predicted they can also be prevented! A simple spreadsheet is just not sophisticated enough to handle this requirement. Another common difficulty is the accuracy and reliability of the data. This is no reflection on the individuals collecting and analysing the information but as you know a manufacturing environment can be a complex, high speed environment. The manufacturing team’s key focus is to keep the production line running according to plan so to ask them to manually record issues on the line can be a big ask. There is also usually a very large volume of data to handle so it is only natural that some human error may creep in. A single key stroke mistake or wrong formula can make a significant difference to data output which is being relied upon to make some significant business decisions. The problem here is if the data cannot be relied upon then the chances are it won’t be used. It is a well-known and proven fact that people react and engage better to pictures rather than large amounts of numbers. 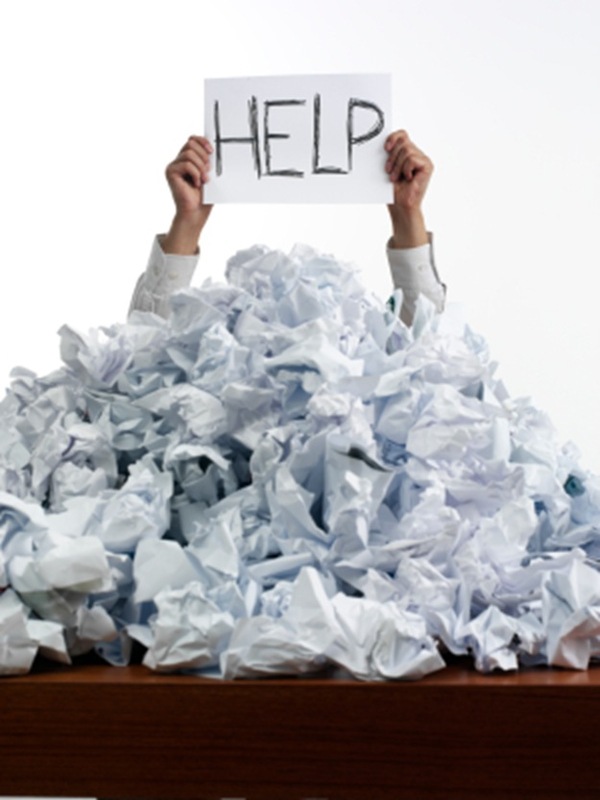 The collation of manual OEE data typically leads to a “paper mountain”. So you have processed and analysed your data but how do you now present it in a format that will provide real insight for decision making, will engage and influence your audience and can be easily interpreted and understood by all. So, you might ask what is a Topline OEE score? A Topline OEE Score is just that your current OEE Productivity Score as measured by your manual data collection process. Let’s say it’s 60%, so you are losing 40%. Now what? A spreadsheet just won’t have the power or intelligence to do much more than that. So how are you going to improve this score, reduce losses and make the required impact to bottom line? And finally, manual collection of OEE data by spreadsheet is a significant investment of time, money and resources. Furthermore given the issues already outlined you would have to ask how long it will be before you start to see the benefits of your efforts with increased OEE scores, improved bottom line and the return on your investment. 1. Our OEE Smart Factory software will collect and analyse your data automatically and accurately in real-time, no “paper mountain” here. 2. Our configurable reports, charts and dashboards will be available at your fingertips allowing you to share and visualise performance across your teams. 3. Continuous, real-time monitoring ensures you can predict losses before they happen, gains are monitored and locked in, driving return on investment higher, faster in a matter of weeks. 4. Our “whole-story / one-version /non- technical” data can be presented to suit individual role requirements ensuring you are always working on the right issue. 5. Our experience across all key production processes (discrete, bulk and continuous) helps you implement the project and the necessary culture changes to truly empower your team. 6. Our simple, straightforward, installation process and unique OEE Software Trial facility helps you get started on a project fast. Contact us to talk to an OEE specialist right now.